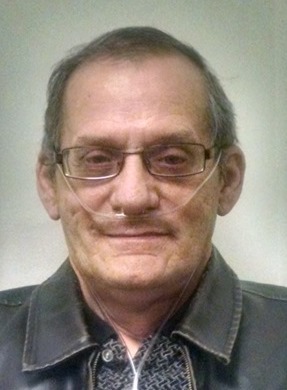 Leonard (Lenny) Schelb Jr. is a 64 year old man suffering from COPD for over 20 years. His health has declined to the point that his doctors at Butterworth Hospital have told him that his only option is a life-saving lung transplant. For many years Lenny worked for his father in the family excavating business. He raised his two fine children, is blessed with four wonderful grandchildren and a good friend to many. He has always been there for others and now desperately needs your help. Transplants are life-saving but financially draining. Even with insurance there are many expenses that must be covered out of pocket. Some of these are co-pays, deductibles, relocation to Grand Rapids for at least six weeks at the time of transplant and he will be on a life-time of very expensive anti-rejection medications. In addition, he is required to have a full time caregiver after the transplant during relocation. To help with the financial burden a fundraising campaign in his honor has been established with HelpHOPELive, a trusted nonprofit organization that has been providing community-based fundraising guidance to patients and their families for more than 30 years. All donations are tax-deductible, are held by HelpHOPELive in the Great Lakes Lung Transplant Fund, and are administered by HelpHOPELive for transplant-related expenses only. Please consider making a contribution. On behalf of Lenny, thank you for your kindness, generosity, support and prayers. Keep an eye on this campaign page. We will be planning some fundraising events soon and posting updates. Good luck Lenny. I am sending a contribution in honor of your dad...He would have wanted this. He loved you very much.